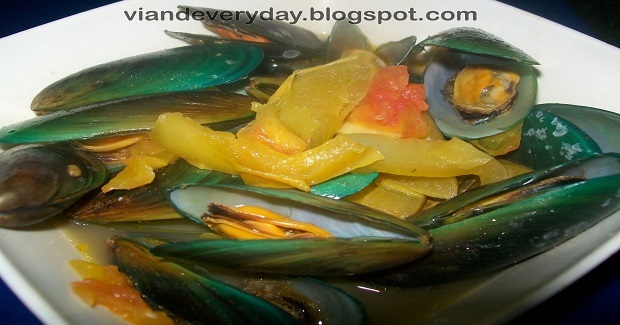 Sauteed Mussels With Orange Juice Recipe - Gutom Na! Posted on Friday, March 10th, 2017 at 6:16 pm. Saute onion, garlic and ginger. Add mussel and saute over until the mussels open. Season with magic sarap and salt. Add orange juice and let it simmer for 5 minutes.